There’s a difference between simply settling somewhere and finding a home. 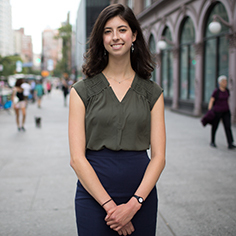 Refugees are faced with this reality every day — among new neighbors in a new city, building a sense of belonging is no small task. Working to create a place for oneself is a bold act of hope for a new life. So, what can public spaces do to help create a sense of place for refugees? One of the first points of contact for refugees entering the U.S. is often the International Rescue Committee (IRC), a nonprofit that resettles nearly 10,000 refugee cases annually, and helps them with everything from navigating new kitchen appliances to finding jobs and learning English. This work gives refugees a good start, but from there, they still face perhaps one of the most difficult parts of the process: becoming a part of their new community. The IRC began its New Roots program about 10 years ago in the hopes of using agriculture and community gardening to support refugees in rebuilding their lives and livelihoods. The program works in shared gardens in cities across the United States, giving refugees the opportunity to strengthen existing skills in gardening, to preserve their culinary identity by growing culturally relevant foods, and, in some cases, to participate in farmers markets. One participating city was Baltimore, where the IRC started up a small network of shared refugee-focused gardens by working with local churches and the Goodnow Community Center. The gardens, in churchyards and on the lawns surrounding active community hubs, quickly became busy with refugees looking to connect with nature, grow their own crops, and plug into the local food system. 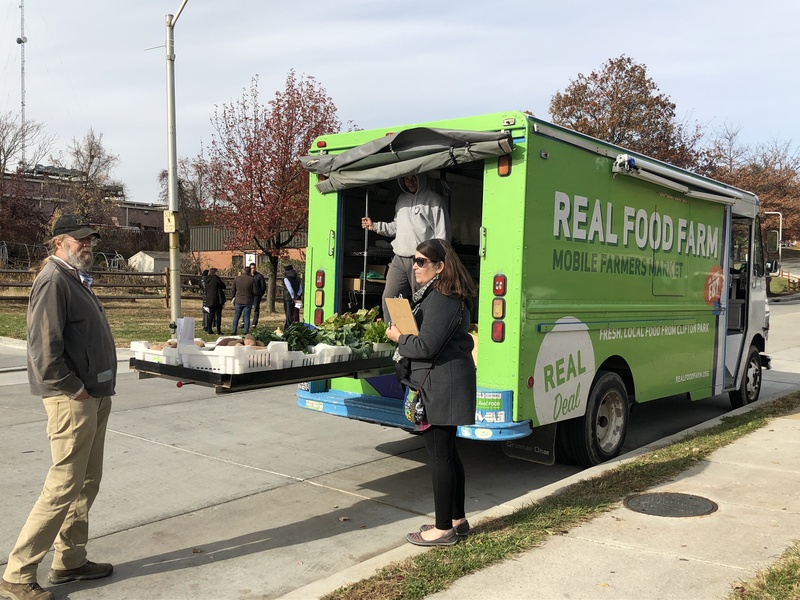 A mobile farmers market parked outside one of the gardens in Baltimore. But the spaces soon transcended these uses — in addition to the crops the refugees were planting, Baltimore’s gardens began to nurture a sense of social cohesion among residents. In the fall of 2017, PPS joined IRC staff in Baltimore to help the New Roots gardens reach beyond their initial purpose, and combat social separation in refugee communities. PPS and IRC staff, along with several community partners and stakeholders evaluated the urban gardens and discussed whether they were bringing long-time locals and refugees together. Workshop participants realized that efforts initially intended to protect the refugees’ space were leaving them closed off to passers-by. The IRC’s Technical Advisor for Food and Agriculture recalls that “one of the big breakthroughs of the meeting was that if we want to build community, [the process needs to be] something that involves everybody…There were definitely people walking by, wanting to know what the garden was about, but not feeling like they had anything to do with it.” More than a space just for refugees, the gardens would be even more valuable as spaces designed to attract everyone; bringing about the small daily interactions that break down barriers between people. Now, the New Roots program is part of “a grassroots approach, helping people to see across difference,” through the lens of agriculture. A recent mosaic workshop in the garden. Photo Credit: IRC. Since the fall, placemaking is taking root in the gardens. Fences around the garden plots have come down, and the gardens are open to other Baltimore residents. IRC staff are converting an unused greenhouse into a community reading room, and during a recent garden party, local artists led a bench decorating project with an array of neighbors and gardeners. New Roots staff have partnered with other local programs to host non-gardening activities like yoga and music therapy, while other cities’ New Roots gardens have launched “English in the Garden,” and support groups in these spaces. 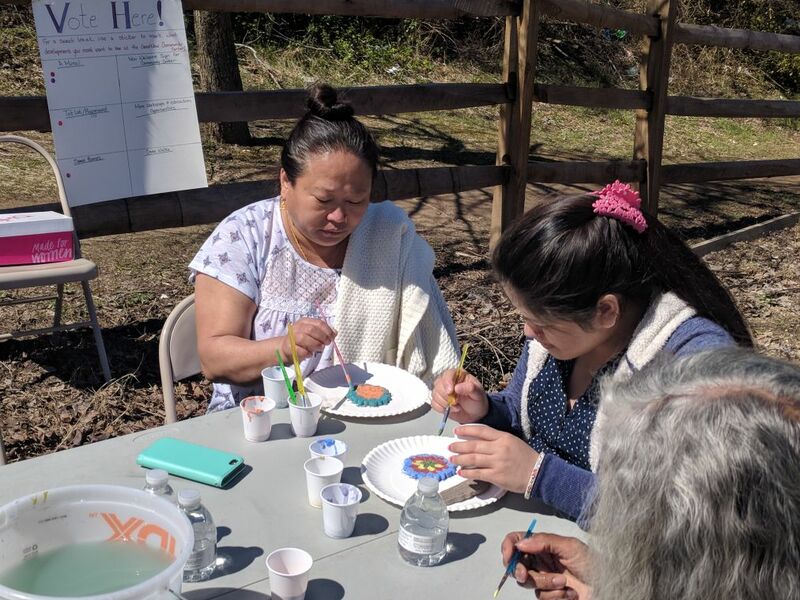 The activities connect Baltimore residents, old and new, forging the types of bonds that help refugees to adjust to their new homes. Instead of fenced-off sanctuaries, the gardens are evolving into destinations for long-time residents and recent refugees alike. While community gardens are almost always places of healing, they can only foster social integration when there are opportunities for everybody to participate. From the outset, Baltimore’s gardens were places of refuge for the city’s newest residents — but it was only when they were made open to all that they became places for refugees to connect with their new community. And what better place than an urban garden to sow the seeds of inclusion?